Have you ever wondered why the Italians are always so smiling, cheerful and full of life? The reason is very simple: The Italians know how to enjoy life, they know what “la dolce vita” means, they are able to take time for themselves and to delight in a relaxed evening in the company of friends. 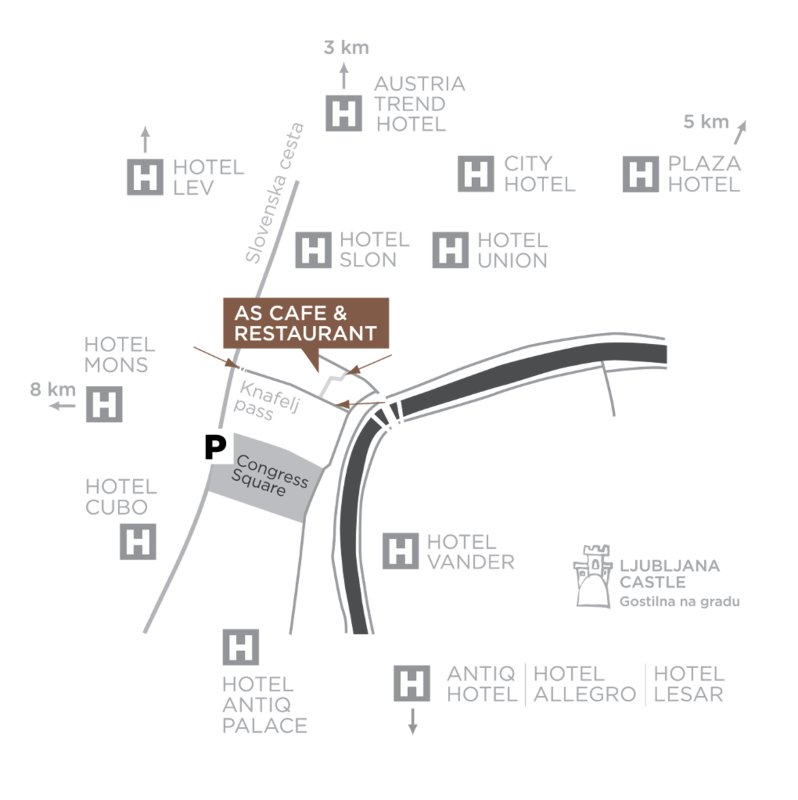 And now you don’t need to head off to Trieste or Milan for one of their drinks after a hard day at work. You can now savour Bellini, Aperol spritz and Prosecco, along with some delicious snacks, great music and the best company in town right in the centre of Ljubljana, where the revitalised food and drink establishments are turning it into a proper capital city. AS Aperitivo is a new definition of aperitif, a social event where a glass of wine, low-alcohol cocktail or glass of Champagne are combined with home-made bread sticks, San Daniele prosciutto, canapés, olives, crisps and a relaxed atmosphere. Aperitivo is a cultural phenomenon, a place that pampers the taste buds and is a great overture for a delicious dinner worth extending into the night. Still not convinced? Try the AS Spritz, the house burger and the good company, and the rest will take care of itself. In March 2011 the wooden garden pavilion at AS met its end, and we began implementing bold plans to set up a new, bigger structure. In addition to its daily specials, which calm the intensive pulse of city life with tasty lunches and a light Mediterranean menu, Aperitivo is a space for relaxed evening socialising over cocktails and the light platters that are the AS trademark. Yes, this is AS Aperitivo. There are new daily menus at Aperitivo that are rooted in the outstanding qualities of specially selected ingredients, and in the Mediterranean passion for good and healthy food. 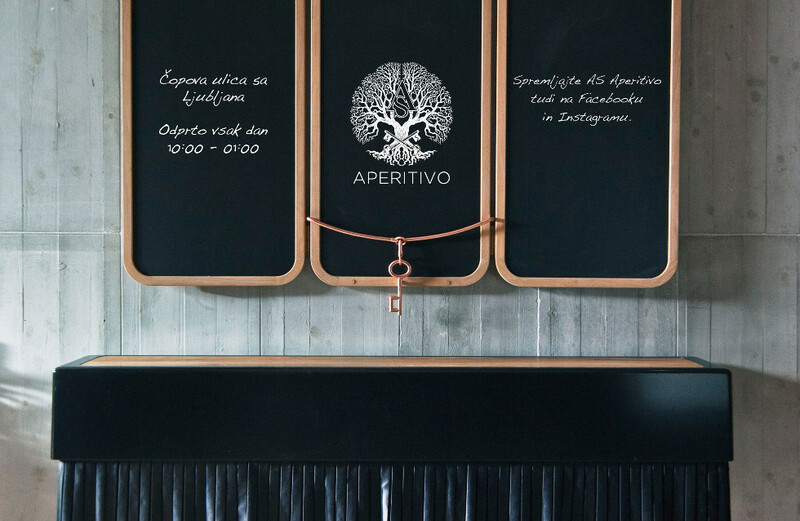 The Aperitivo team is captained by the exceptional Italian barman Marco Treu, whose unique concoctions are changing Slovenian habits. He has brought his Mediterranean origins and his long years behind a few famous American bars to Aperitivo, and the result is a tasty challenge for even the most demanding connoisseur of superlative drinks. The architectural design, made by the office of Arhé d.o.o., used the motif of a tree around which rises a pure concrete construction that floats above the garden. The airiness of the structure is achieved with glass walls, which on sunny spring and summer days will be completely concealed in the floor and behind the concrete walls, in this way conjuring for guests a sense of lightness in the shade of a huge crown of some mighty Caucasian Walnut. The open interior and the accents specific to the client bear the trademark signature of the internationally established designer Nika Zupanc. The motif of the garden, where the tree crown pushes into the space, is emphasised by three cherry branches, iconic lights that she interpreted specially for this space and thereby emphasised the tension between the exterior and interior. This served to create a kind of non-space, an open yet closed garden populated with a number of small ambiental details that have been designed as verses which each person can read in their own way. The fluid, poetic space of pure and archetypal designs is enhanced with copper accents. In addition to the cherry (La femme et la maison by Nika Zupanc, 2009), the 5 o’clock tables (Moooi 2009), the legendary Alvar Aalto hanging lights (Golden Bell, Artek, 1939), Pina chairs designed for the Magis company by the Spaniard Jaime Hayon (2010) and armchairs designed for Maxalto by Antonio Citterio (2008), all the other elements in this spatial narrative have been designed especially for this establishment. Your reservation is valid for 15 minutes after the agree hour has passed.